Motivated by Nic Watt’s recent open letter to you Metro Screen also requests that the Interactive Media Fund be continued beyond June 2013. Metro Screen supports emerging screen practitioners in NSW. Our role is to provide a range of opportunities and activities that guide emerging talent through careers in the digital screen industries. Until relatively recently there was a significant chasm between ‘heritage’ and ‘new’ screen media. These sectors didn’t often talk to each other, let alone work together. In the past three years, largely through the Interactive Media Fund, the gap has been closing at a good speed. Cross fertilization has begun and we’re starting to see the fruits of these initiatives. Metro Screen is looking for the right person to join our Learning and Development team as our Learning and Development Coordinator, Short Courses. This department is responsible for the delivery of a range of industry focussed professional development programs including short courses, the Certificate IV in Screen and Media and the Advanced Diploma in Multiplatform Production. Major changes to licensing fees for Commercial TV stations means Australian content is at major risk. A petition has been started on communityrun to send a message to Senator Conroy who has effectively handed a $142 saving to Channels 7,9 and ten without parliamentary approval. An industry-led Creative Industries Taskforce has developed a draft Creative Industries Industry Action Plan for NSW. The taskforce is seeking feedback - your feedback will assist in developing the priorities and initiatives that will help strengthen this roadmap for driving growth in NSW Creative Industries. Jas Shennan has more credits than most editors in this country - he is the editor for Masterchef, Top Gear Australia, Secret Millionaire, Location Location Location and The Biggest Loser. Editing across the decades of film, video and now digital media, Jas has travelled the world where he studied under legendary British film director Mike Leigh. 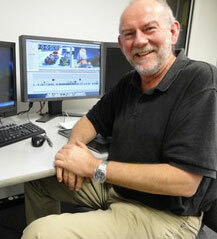 Executive Producers have credited him as being instrumental to the success of several TV Shows. It’s a privilege to learn from such a well-networked, highly skilled and experienced industry practitioner. Jas will be leading the Editing in AVID and From FCP to AVID in 2 Days starting March - April, enrol today to learn from a master of the trade. The Production Manager runs the show on set, responsible for all the day-to-day logistics, contracts, running the office and practical operations of a set. They report to the Producer who works hand in hand with the Director to bring the vision to life. Production Managers are very much in demand, they are the backbone of any successful production and get noticed in the industry. This part time short course is accredited and will give you the confidence to know what you are talking about in potential job interviews. The future is here, people are watching film and content on all sorts of devices and the demand for video content is growing rapidly everyday. Take this accredited part-time short course to learn the basics of developing your content, pitching your project, business model options, how to find an audience through marketing for your project and possible funding opportunities. As a filmmaker it can be overwhelming to know where your content should live in this multiplatform world. Keep up to date with trends in technology, 360 Degree Storytelling techniques and develop your filmmaking skills in a small class with a dedicated experienced guide to help you along the way. 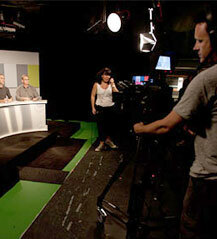 Achieve high quality multicam productions with the Chroma Key Studio equipped with three broadcast quality cameras, professional lighting rig and a control room edit suite. I would like to offer the opportunity to be part of a crew in a screen test shoot for a feature script I am writing and developing as writer and executive producer. The purpose of this test shoot is to audition/film three actresses performing an excerpt from my original script to camera. The feature idea is a romantic comedy called ‘Love and Other Wars’. Following extensive industry consultation, including the release of draft guidelines on 15th February, Screen Australia has released the final guidelines for its new Interactive and Multi-platform programs. The suite of programs is worth more than $30 million over three years and incorporates $20 million of new Federal Government funding through the Interactive Games Fund as well as funding previously provided through the agency’s former Multi-platform programs. Popcorn Taxi is proud to host Jane Campion as she makes a rare public appearance to discuss her blockbuster mini-series, ‘Top of the Lake’, with co-writer Gerard Lee, after an exclusive public screening of the first two episodes. ‘Top of the Lake’ was the first TV series to make its premiere at the Sundance Film Festival. It received a standing ovation, and then again at the Berlin Film Festival. It is one of the most anticipated TV shows in the world, preparing to air on The Sundance Channel in the US, BBC Two in the UK and UKTV on Foxtel in Australia. Congratulations to Grace, which one best Australian Student film at WOW Festival on 7th March 2013. The film was written and directed by Liz Cooper, who is Metro Screen’s former Certificate IV in Screen and Media Co-ordinator. 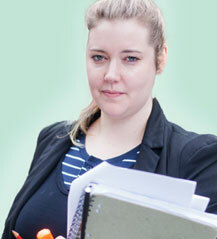 The film was produced by Certificate IV in Screen and Media Graduate Annmaree J Bell. From legendary filmmaker Takashi Miike [13 Assassins], Hara-Kiri: Death of a Samurai tells a tale of love, honour and revenge amidst the fall of the Samurai in 17th Century Japan. The first 3D film to ever be shown in competition at Cannes, the story centres on a poverty-stricken Samurai who discovers the fate of his ronin son in law, setting in motion a tense showdown of vengeance against the house of a feudal lord.